911-217B Value Series - 3.5" O.D. The Amy modular playground is suited for 5-12 years old. Stepping stones makes a child go from one to another on this equipment. The sand and water table fill creative play needs. Comes with a nice gable roof for shade, a mirror panel and a straight plastic slide. 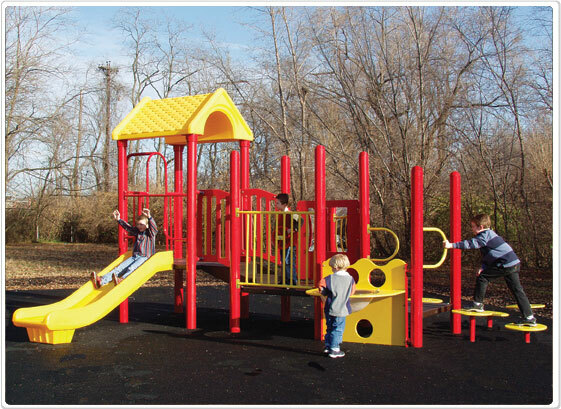 This playground structure is also available in our 3.5" value series line.